Brothers Cyril and Methodius bring Christianity to the Slavic peoples. Christianity in the Middle Ages covers the history of Christianity from the Fall of the Western Roman Empire (c. 476) until the Fall of Constantinople (1453), which is usually taken to make the end of the Middle Ages in the History of Europe. In Christianity's ancient Pentarchy, five patriarchies held special eminence: the sees of Rome, Constantinople, Jerusalem, Antioch, and Alexandria. The prestige of most of these sees depended in part on their apostolic founders, or in the case of Byzantium/Constantinople, that it was the new seat ("New Rome") of the continuing Eastern Roman, or Byzantine Empire. These bishops considered themselves the successors of those apostles. In addition, all five cities were Early centres of Christianity. The Early Middle Ages commenced with the deposition of the last eastern Roman emperor in 476, to be followed by the barbarian king, Odoacer, to the coronation of Charlemagne as "Emperor of the Romans" by Pope Leo III in Rome on Christmas Day, 800. The year 476, however, is a rather artificial division. In the East, Roman imperial rule continued through the period historians now call the Byzantine Empire. Even in the West, where imperial political control gradually declined, distinctly Roman culture continued long afterwards; thus historians today prefer to speak of a "transformation of the Roman world" rather than a "fall of the Roman Empire." The advent of the Early Middle Ages was a gradual and often localised process whereby, in the West, rural areas became power centres whilst urban areas declined. With the Muslim invasions of the seventh century, the Western (Latin) and Eastern (Greek) areas of Christianity began to take on distinctive shapes. Whereas in the East the Church maintained its strength, in the West the Bishops of Rome (i.e., the Popes) were forced to adapt more quickly and flexibly to drastically changing circumstances. In particular whereas the bishops of the East maintained clear allegiance to the Eastern Roman Emperor, the Bishop of Rome, while maintaining nominal allegiance to the Eastern Emperor, was forced to negotiate delicate balances with the "barbarian rulers" of the former Western provinces. Although the greater number of Christians remained in the East, the developments in the West would set the stage for major developments in the Christian world during the later centuries. Beginning in the fifth century, a unique culture developed around the Irish Sea consisting of what today would be called Wales and Ireland. In this environment, Christianity spread from Roman Britain to Ireland, especially aided by the missionary activity of St. Patrick with his first-order of 'patrician clergy', active missionary priests accompanying or following him, typically Britons or Irish ordained by him and his successors. Patrick had been captured into slavery in Ireland and, following his escape and later consecration as bishop, he returned to the isle that had enslaved him so that he could bring them the Gospel. Soon, Irish missionaries such as Columba and Columbanus spread this Christianity, with its distinctively Irish features, to Scotland and the Continent. One such feature was the system of private penitence, which replaced the former practice of penance as a public rite. Although southern Britain had been a Roman province, in 407 the imperial legions left the isle, and the Roman elite followed. Some time later that century, various barbarian tribes went from raiding and pillaging the island to settling and invading. These tribes are referred to as the "Anglo-Saxons", predecessors of the English. They were entirely pagan, having never been part of the Empire, and although they experienced Christian influence from the surrounding peoples, they were converted by the mission of St. Augustine sent by Pope Gregory the Great. The majority of the remaining British population converted from Christianity back to their Pagan roots. Contrary to popular belief, the conversion of Anglo-Saxons to Christianity was incredibly slow. The Anglo-Saxons had little interest in changing their religion and even initially looked down upon Christianity due to conquering the Christian British people decades earlier. It took almost a century to convert only the aristocracy of the Anglo-Saxons to Christianity with many still converting back to Paganism. After this, the common folk took a few hundred more years to convert to Christianity and their reasoning for converting was in large part due to the nobility. Originally, Anglo-Saxon leaders claimed divine descent while taking part in many rituals and practices for Paganism but after their conversion they in turn became spiritual leaders for Christianity in Britain. Soon Anglo-Saxons started to incorporate their old Pagan stories and figures into Christianity, such as the Pagan god Woden becoming sixteenth in descent from 'Sceaf, Noah's son in the Bible. Later, under Archbishop Theodore, the Anglo-Saxons enjoyed a golden age of culture and scholarship. Soon, important English missionaries such as SS. Wilfrid, Willibrord, Lullus and Boniface would begin evangelising their Saxon relatives in Germany. The largely Christian Gallo-Roman inhabitants of Gaul (modern France) were overrun by Germanic Franks in the early 5th century. The native inhabitants were persecuted until the Frankish King, Clovis I converted from paganism to Roman Catholicism in 496. Clovis insisted that his fellow nobles follow suit, strengthening his newly established kingdom by uniting the faith of the rulers with that of the ruled. 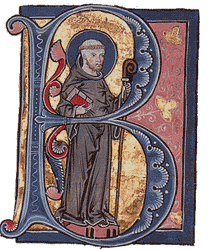 In 698, the Northumbrian Benedictine monk, Willibrord was commissioned by Pope Sergius I as bishop of the Frisians in what is now the Netherlands. Willibrord established a church in Utrecht. The Carolingian Renaissance was a period of intellectual and cultural revival during the late 8th century and 9th century, mostly during the reigns of Charlemagne and Louis the Pious. There was an increase of literature, the arts, architecture, jurisprudence, liturgical and scriptural studies. The period also saw the development of Carolingian minuscule, the ancestor of modern lower-case script, and the standardisation of Latin which had hitherto become varied and irregular (see Medieval Latin). To address the problems of illiteracy among clergy and court scribes, Charlemagne founded schools and attracted the most learned men from all of Europe to his court, such as Theodulf, Paul the Deacon, Angilbert, Paulinus of Aquileia. The other major irritant to Eastern Christendom was the Western use of the filioque clause—meaning "and the Son"—in the Nicene Creed . This too developed gradually and entered the Creed over time. The issue was the addition by the West of the Latin clause filioque to the Creed, as in "the Holy Spirit... who proceeds from the Father and the Son," where the original Creed, sanctioned by the councils and still used today, by the Eastern Orthodox simply states "the Holy Spirit, the Lord and Giver of Life, who proceeds from the Father." The Eastern Church argued that the phrase had been added unilaterally and, therefore, illegitimately, since the East had never been consulted. In the final analysis, only another ecumenical council could introduce such an alteration. Indeed, the councils, which drew up the original Creed, had expressly forbidden any subtraction or addition to the text. In addition to this ecclesiological issue, the Eastern Church also considered the filioque clause unacceptable on dogmatic grounds. Theologically, the Latin interpolation was unacceptable since it implied that the Spirit now had two sources of origin and procession, the Father and the Son, rather than the Father alone. In the 9th century AD, a controversy arose between Eastern (Byzantine, later Orthodox) and Western (Latin, later Roman Catholic) Christianity that was precipitated by the opposition of the Roman Pope John VIII to the appointment by the Byzantine emperor Michael III of Photius I to the position of patriarch of Constantinople. Photios was refused an apology by the pope for previous points of dispute between the East and West. Photius refused to accept the supremacy of the pope in Eastern matters or accept the filioque clause. The Latin delegation at the council of his consecration pressed him to accept the clause in order to secure their support. The Orthodox East perceived the Papacy as taking on monarchical characteristics that were not in line with the church's traditional relationship with the emperor. The final breach is often considered to have arisen after the capture and sacking of Constantinople by the Fourth Crusade in 1204. Crusades against Christians in the East by Roman Catholic crusaders was not exclusive to the Mediterranean though (see also the Northern Crusades and the Battle of the Ice). The sacking of Constantinople, especially the Church of Holy Wisdom and the Church of the Holy Apostles, and establishment of the Latin Empire as a seeming attempt to supplant the Orthodox Byzantine Empire in 1204 is viewed with some rancour to the present day. Many in the East saw the actions of the West as a prime determining factor in the weakening of Byzantium. This led to the Empire's eventual conquest and fall to Islam. In 2004, Pope John Paul II extended a formal apology for the sacking of Constantinople in 1204; the apology was formally accepted by Patriarch Bartholomew of Constantinople. Many things that were stolen during this time: holy relics, riches, and many other items, are still held in various Western European cities, particularly Venice. A third level of monastic reform was provided by the establishment of the Mendicant orders. Commonly known as friars, mendicants live under a monastic rule with traditional vows of poverty, chastity and obedience, but they emphasise preaching, missionary activity, and education, in a secluded monastery. Beginning in the 12th century, the Franciscan order was instituted by the followers of Francis of Assisi, and thereafter the Dominican order was begun by St. Dominic. The Crusades were a series of military conflicts conducted by Christian knights for the defense of Christians and for the expansion of Christian domains. Generally, the Crusades refer to the campaigns in the Holy Land sponsored by the papacy against invading Muslim forces. There were other crusades against Islamic forces in southern Spain, southern Italy, and Sicily, as well as the campaigns of Teutonic knights against pagan strongholds in Eastern Europe (see Northern Crusades). A few crusades such as the Fourth Crusade were waged within Christendom against groups that were considered heretical and schismatic (also see the Battle of the Ice and the Albigensian Crusade). The Holy Land had been part of the Roman Empire, and thus Byzantine Empire, until the Islamic conquests of the seventh and eighth centuries. Thereafter, Christians had generally been permitted to visit the sacred places in the Holy Land until 1071, when the Seljuk Turks closed Christian pilgrimages and assailed the Byzantines, defeating them at the Battle of Manzikert. Emperor Alexius I asked for aid from Pope Urban II (1088–1099) for help against Islamic aggression. Urban II called upon the knights of Christendom in a speech made at the Council of Clermont on 27 November 1095, combining the idea of pilgrimage to the Holy Land with that of waging a holy war against the invading forces. The Medieval Inquisition officially started in 1231, when Pope Gregory IX appointed the first inquisitors to serve as papal agents to remove heresy. Heretics were seen as a menace to the Church and the first group dealt with by the inquisitors were the Cathars of southern France. The main tool used by the inquisitors was interrogation that often featured the use of torture followed by having heretics burned at the stake. After about a century this first medieval inquisition came to a conclusion. A new inquisition called the Spanish Inquisition was created by King Ferdinand and Queen Isabella in order to consolidate their rule. This new inquisition was separated from the Roman Church and the inquisition that came before it. At first it was primarily directed at Jews who converted to Christianity because many were suspicious that they did not actually convert to Christianity. Later it spread to targeting Muslims and the various peoples of the Americas and Asia. The inquisitions in combination with the Albigensian Crusade were fairly successful in suppressing heresy. Modern western universities have their origins directly in the Medieval Church. They began as cathedral schools, and all students were considered clerics. This was a benefit as it placed the students under ecclesiastical jurisdiction and thus imparted certain legal immunities and protections. The cathedral schools eventually became partially detached from the cathedrals and formed their own institutions, the earliest being the University of Paris (c. 1150), the University of Bologna (1088), and the University of Oxford (1096). Universities as institutions that issue academic degrees were inspired by Islamic madrasahs founded in the ninth century. For instance, the University of Al Karaouine in Fez, Morocco is thus recognized by the Guinness Book of World Records as the oldest degree-granting university in the world with its founding in 859 by the princess Fatima al-Fihri. Church of St. Margaret of Antioch, Kopčany (Kopčany, Slovakia, 9th-10th century) - the only preserved building from the time of Great Moravia. When king Rastislav of Moravia asked Byzantium for teachers who could minister to the Moravians in their own language, Byzantine emperor Michael III chose two brothers, Cyril and Methodius. As their mother was a Slav from the hinterlands of Thessaloniki, the two brothers had been raised speaking the local Slavonic vernacular. Once commissioned, they immediately set about creating an alphabet, the Cyrillic script; they then translated the Scripture and the liturgy into Slavonic. This Slavic dialect became the basis of Old Church Slavonic which later evolved into Church Slavonic which is the common liturgical language still used by the Russian Orthodox Church and other Slavic Orthodox Christians. The missionaries to the East and South Slavs had great success in part because they used the people's native language rather than Latin or Greek. In Great Moravia, Constantine and Methodius encountered Frankish missionaries from Germany, representing the western or Latin branch of the Church, and more particularly representing the Holy Roman Empire as founded by Charlemagne, and committed to linguistic, and cultural uniformity. They insisted on the use of the Latin liturgy, and they regarded Moravia and the Slavic peoples as part of their rightful mission field. Methodius later went on to convert the Serbs. Some of the disciples, namely St. Kliment, St. Naum who were of noble Bulgarian descent and St. Angelaruis, returned to Bulgaria where they were welcomed by the Bulgarian Tsar Boris I who viewed the Slavonic liturgy as a way to counteract Greek influence in the country. Prior to Christianity, the majority of Bulgaria was Pagan. In 876, Tsar Boris I adopted Christianity from Constantinople, making it the official religion of Bulgaria. Shortly after, Boris I accepted many Christian missionaries into the country. At the time, the majority of the missionaries were Byzantines and Bulgarians. The conversion of Bulgaria was particularly painful and bloody as many people were converted through force. However, many continued to secretly worship their pagan gods. Constantinople and Rome contended to attract the powerful Bulgaria through the use of religion. After the split of the Eastern and Western churches in the 11th century, the Eastern church located in Constantinople took control of Bulgaria implementing Orthodox Christianity. Starting in the 14th century, the Ottomans conquered many places in the Balkans including Bulgaria, which led to many new forced and voluntary converts to Islam. Despite the constant warfare, the Christians and Muslims lived together in relative peace in Bulgaria. The two religious groups influenced each others cultures and religious practices. In a short time the disciples of Cyril and Methodius managed to prepare and instruct the future Slav Bulgarian clergy into the Glagolitic alphabet and the biblical texts and in AD 893, Bulgaria expelled its Greek clergy and proclaimed the Slavonic language as the official language of the church and the state. The success of the conversion of the Bulgarians facilitated the conversion of other East Slavic peoples, most notably the Rus', predecessors of Belarusians, Russians, and Ukrainians, as well as Rusyns. By the beginning of the eleventh century most of the pagan Slavic world, including Russia, Bulgaria and Serbia, had been converted to Byzantine Christianity. 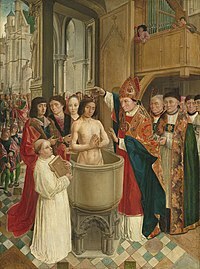 The traditional event associated with the conversion of Russia is the baptism of Vladimir of Kiev in 988, on which occasion he was also married to the Byzantine princess Anna, the sister of the Byzantine Emperor Basil II. However, Christianity is documented to have predated this event in the city of Kiev and in Georgia. Today the Russian Orthodox Church is the largest of the Orthodox Churches. About the year 1337 Hesychasm attracted the attention of a learned member of the Orthodox Church, Barlaam of Calabria who at that time held the office of abbot in the Monastery of St Saviour's in Constantinople and who visited Mount Athos. Mount Athos was then at the height of its fame and influence under the reign of Andronicus III Palaeologus and under the 'first-ship' of the Protos Symeon. On Mount Athos, Barlaam encountered Hesychasts and heard descriptions of their practices, also reading the writings of the teacher in Hesychasm of St Gregory Palamas, himself an Athonite monk. Trained in Western Scholastic theology, Barlaam was scandalised by Hesychasm and began to combat it both orally and in his writings. As a private teacher of theology in the Western Scholastic mode, Barlaam propounded a more intellectual and propositional approach to the knowledge of God than the Hesychasts taught. Hesychasm is a form of constant purposeful prayer or experiential prayer, explicitly referred to as contemplation. Descriptions of the Hesychast practices can be found in the Philokalia, The Way of a Pilgrim, and St. John Climacus' The Ladder of Divine Ascent. On the Hesychast side, the controversy was taken up by St Gregory Palamas, afterwards Archbishop of Thessalonica, who was asked by his fellow monks on Mt Athos to defend Hesychasm from the attacks of Barlaam. St Gregory himself, was well-educated in Greek philosophy. St Gregory defended Hesychasm in the 1340s at three different synods in Constantinople, and he also wrote a number of works in its defence. In these works, St Gregory Palamas uses a distinction, already found in the 4th century in the works of the Cappadocian Fathers, between the energies or operations (Gr. energies) of God and the essence (ousia) of God (see the Essence-Energies distinction). St Gregory taught that the energies or operations of God were uncreated. 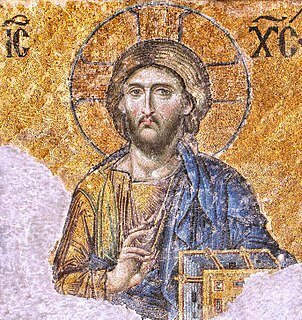 He taught that the essence of God can never be known by his creations even in the next life, but that his uncreated energies or operations can be known both in this life and in the next, and convey to the Hesychast in this life and to the righteous in the next life a true spiritual knowledge of God (see theoria). 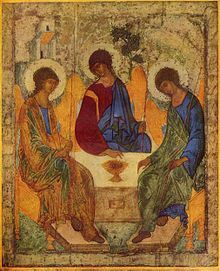 In Palamite theology, it is the uncreated energies of God that illumine the Hesychast who has been vouchsafed an experience of the Uncreated Light. Palamas referred to this experience as an apodictic (see Aristotle) validation of God rather than a scholastic contemplative or dialectical validation of God. In 1341 the dispute came before a synod held at Constantinople and was presided over by the Emperor Andronicus; the synod, taking into account the regard in which the writings of the pseudo-Dionysius were held, condemned Barlaam, who recanted and returned to Calabria, afterwards becoming a bishop in the Roman Catholic Church. One of Barlaam's friends, Gregory Akindynos, who originally was also a close friend of St Gregory Palamas, took up the controversy, and three other synods on the subject were held, at the second of which the followers of Barlaam gained a brief victory. But in 1351 at a synod under the presidency of the Emperor John VI Cantacuzenus, Hesychast doctrine was established as the doctrine of the Orthodox Church. Up to this day, the Roman Catholic Church has never fully accepted Hesychasm, especially the distinction between the energies or operations of God and the essence of God, and the notion that those energies or operations of God are uncreated. In Roman Catholic theology as it has developed since the Scholastic period c. 1100–1500, the essence of God can be known, but only in the next life; the grace of God is always created; and the essence of God is pure act, so that there can be no distinction between the energies or operations and the essence of God (see, e.g., the Summa Theologiae of St Thomas Aquinas). Some of these positions depend on Aristotelian metaphysics. The contemporary historians Cantacuzenus and Nicephorus Gregoras deal very copiously with this subject, taking the Hesychast and Barlaamite sides respectively. Respected fathers of the church have held that these councils that agree that experiential prayer is Orthodox, refer to these as councils as Ecumenical Councils Eight and Nine. Father John S. Romanides, Hierotheos (Vlachos) of Nafpaktos, and the Very Rev. Prof. Dr. George Metallinos, Professor of theology at Athens Greece (see gnosiology). In 1309, Pope Clement V, due to political considerations, moved to Avignon in southern France and exercised his pontificate there. For sixty-nine years popes resided in Avignon rather than Rome. This was not only an obvious source of confusion but of political animosity as the prestige and influence of the city of Rome waned without a resident pontiff. Though Pope Gregory XI, a Frenchman, returned to Rome in 1378, the strife between Italian and French factions intensified, especially following his subsequent death. In 1378 the conclave, elected an Italian from Naples, Pope Urban VI; his intransigence in office soon alienated the French cardinals, who withdrew to a conclave of their own, asserting the previous election was invalid since its decision had been made under the duress of a riotous mob. They elected one of their own, Robert of Geneva, who took the name Pope Clement VII. By 1379, he was back in the palace of popes in Avignon, while Urban VI remained in Rome. The Renaissance was a period of great cultural change and achievement, marked in Italy by a classical orientation and an increase of wealth through mercantile trade. The city of Rome, the Papacy, and the Papal States were all affected by the Renaissance. On the one hand, it was a time of great artistic patronage and architectural magnificence, where the Church pardoned such artists as Michelangelo, Brunelleschi, Bramante, Raphael, Fra Angelico, Donatello, and Leonardo da Vinci. On the other hand, wealthy Italian families often secured episcopal offices, including the papacy, for their own members, some of whom were known for immorality, such as Alexander VI and Sixtus IV. In addition to being the head of the Church, the Pope became one of Italy's most important secular rulers, and pontiffs such as Julius II often waged campaigns to protect and expand their temporal domains. Furthermore, the popes, in a spirit of refined competition with other Italian lords, spent lavishly both on private luxuries but also on public works, repairing or building churches, bridges, and a magnificent system of aqueducts in Rome that still function today. It was during this time that St. Peter's Basilica, perhaps the most recognised Christian church, was built on the site of the old Constantinian basilica. It was also a time of increased contact with Greek culture, opening up new avenues of learning, especially in the fields of philosophy, poetry, classics, rhetoric, and political science, fostering a spirit of humanism—all of which would influence the Church. In 1453, Constantinople fell to the Ottoman Empire. Under Ottoman rule, the Greek Orthodox Church acquired substantial power as an autonomous millet. The ecumenical patriarch was the religious and administrative ruler of the entire "Greek Orthodox nation" (Ottoman administrative unit), which encompassed all the Eastern Orthodox subjects of the Empire. As a result of the Ottoman conquest and the fall of Constantinople, the entire Orthodox communion of the Balkans and the Near East became suddenly isolated from the West. For the next four hundred years, it would be confined within a hostile Islamic world, with which it had little in common religiously or culturally. This is, in part, due to this geographical and intellectual confinement that the voice of Eastern Orthodoxy was not heard during the Reformation in sixteenth-century Europe. As a result, this important theological debate often seems strange and distorted to the Orthodox. They never took part in it and thus neither Reformation nor Counter-Reformation is part of their theological framework. The new Ottoman government that arose from the ashes of Byzantine civilization was neither primitive nor barbaric. Islam not only recognized Jesus as a great prophet, but tolerated Christians as another People of the Book. As such, the Church was not extinguished nor was its canonical and hierarchical organisation significantly disrupted. Its administration continued to function. One of the first things that Mehmet the Conqueror did was to allow the Church to elect a new patriarch, Gennadius Scholarius. The Hagia Sophia and the Parthenon, which had been Christian churches for nearly a millennium were, admittedly, converted into mosques, yet countless other churches, both in Constantinople and elsewhere, remained in Christian hands. Moreover, it is striking that the patriarch's and the hierarchy's position was considerably strengthened and their power increased. They were endowed with civil as well as ecclesiastical power over all Christians in Ottoman territories. Because Islamic law makes no distinction between nationality and religion, all Christians, regardless of their language or nationality, were considered a single millet, or nation. The patriarch, as the highest ranking hierarch, was thus invested with civil and religious authority and made ethnarch, head of the entire Christian Orthodox population. Practically, this meant that all Orthodox Churches within Ottoman territory were under the control of Constantinople. Thus, the authority and jurisdictional frontiers of the patriarch were enormously enlarged. ^ R. Gerberding and Jo Anne H. Moran Cruz, Medieval Worlds: An Introduction to European History 300–1492 (New York: Houghton Mifflin, 2004), p. 33. ^ Alick Isaacs. "Christianity and Islam: Jerusalem in the Middle Ages - 1. Jerusalem in Christianity". The Jewish Agency. Retrieved 24 April 2019. ^ Joyce 1906, pp. 135-6. ^ Mayr-Harting, H. (1991). The coming of Christianity to Anglo-Saxon England. University Park, PA: Pennsylvania State University Press. ^ Chaney, W. A. (1970). The cult of kingship in Anglo-Saxon England; the transition from paganism to Christianity. Manchester, Eng. : Manchester University Press. ^ a b Patrick J. Geary. "Peasant Religion in Medieval Europe". Persée. Retrieved 24 April 2019. ^ Ware, Kallistos (1995). The Orthodox Church London. St. Vladimir's Seminary Press. ISBN 978-0-913836-58-3. ^ History of Russian Philosophy by Nikolai Lossky ISBN 978-0-8236-8074-0 Quoting Aleksey Khomyakov pg 87. ^ Murphy, C. (2012). God's Jury: The Inquisition and the Making of the Modern World. New York: Houghton Mifflin Harcourt. ^ "From Eastern Roman to Byzantine: transformation of Roman culture (500-800)". Indiana University Northwest. Retrieved 31 August 2017. ^ Sarieva, I. (1995). Some Problems of the Religious History of Bulgaria. Occasional Papers on Religion in Eastern Europe, 15(1). ^ The Australian Institute for Holocaust and Genocide Studies Archived 7 June 2007 at the Wayback Machine The New York Times. Latourette, Kenneth Scott (1975). A History of Christianity, Volume 1: Beginnings to 1500 (revised ed.). San Francisco: Harper. ISBN 0-06-064952-6. (paperback). Morris, Colin (1972). The discovery of the individual, 1050–1200. London: SPCK. ISBN 0-281-02346-8. Morris, Colin (1989). The papal monarchy : the western church from 1050 to 1250. Oxford: Clarendon. ISBN 0-19-826925-0. Morris, Colin (2006). The sepulchre of Christ and the medieval West : from the beginning to 1600. Oxford: Oxford University Press. ISBN 978-0-19-826928-1. Joyce, Patrick Weston (1906). A smaller social history of ancient Ireland, treating of the government, military system, and law; religion, learning, and art; trades, industries, and commerce; manners, customs, and domestic life, of the ancient Irish people (PDF) (An abridgement of my larger work, 'A social history of ancient Ireland' ed.). London ; New York : Longmans, Green, and Co. Retrieved 21 October 2016. 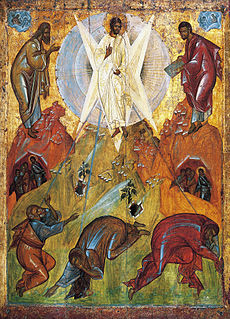 In Eastern Orthodox Christian theology, the Tabor Light is the light revealed on Mount Tabor at the Transfiguration of Jesus, identified with the light seen by Paul at his conversion. 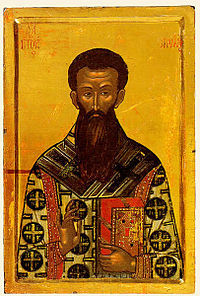 The Hesychast controversy was a theological dispute in the Byzantine Empire during the 14th century between supporters and opponents of Gregory Palamas. While not a primary driver of the Byzantine Civil War, it influenced and was influenced by the political forces in play during that war. The dispute concluded with the victory of the Palamists and the inclusion of Palamite doctrine as part of the dogma of the Eastern Orthodox Church as well as the canonization of Palamas.